10 piste(s) Bien-être sur 121 MusicStore, en MP3 HD et sans DRM. 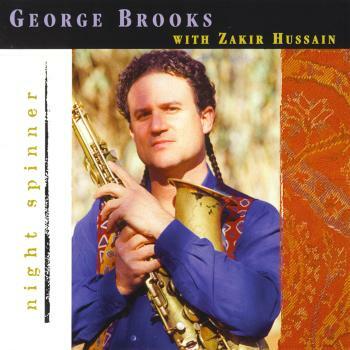 Listen and download the album George Brooks – Night Spinner from George Brooks, Dave Belove, Molly Holm, Zakir Hussain, David Rokeach And Jack Perla. 10 track(s) Bien-être on 121MusicStore, in HD MP3 with no DRM. La description de l’album George Brooks – Night Spinner de George Brooks, Dave Belove, Molly Holm, Zakir Hussain, David Rokeach And Jack Perla n’est pas disponible actuellement. Commentez cet album et gagnez des cartes de téléchargement gratuit et/ou des Ipods Apple. The description of George Brooks – Night Spinner from George Brooks, Dave Belove, Molly Holm, Zakir Hussain, David Rokeach And Jack Perla is not yet available. Win iPods and free downloads by posting comments on 121musicblog.